NO MORE ROLLING YARN – Our yarn holder stops your yarn from wandering off! No more creeping under the sofa, making friends with dust bunnies, or gathering small surprises to be forever added to your project. 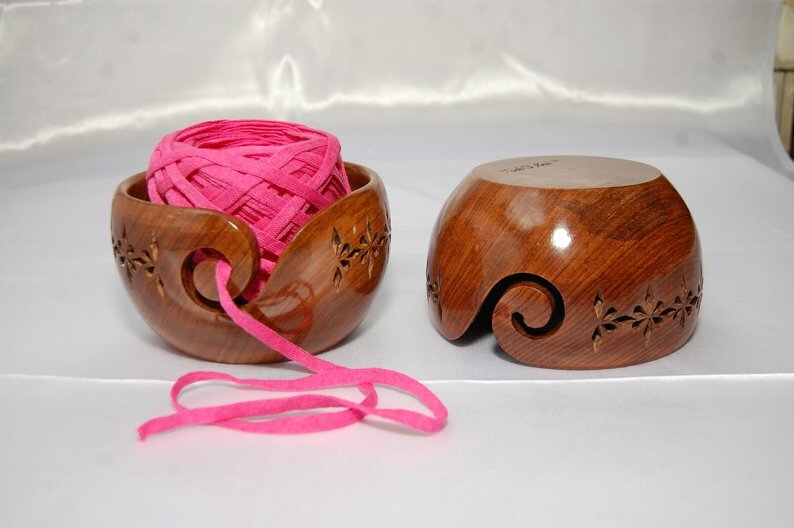 THE PERFECT GIFT – This is an amazing yarn holder for the crocheter or knitter in your life. Guaranteed to make them smile! PORTABLE – Can be easily carried around so that you can knit wherever and whenever you choose. We have included a travel pouch for your convenience Approximately 6″ diameter x 3.50″ height. can comfortably fit a 3.5oz ball of yarn. 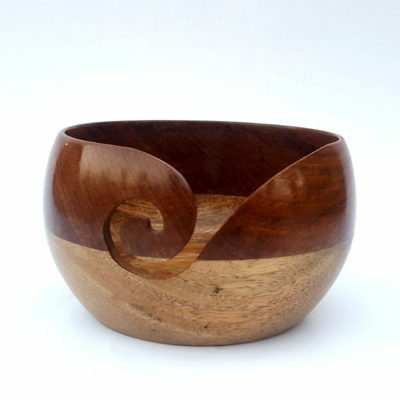 HANDCRAFTED ELEGANCE – Our bowls are carved by hand by a master craftsman using sustainably sourced by hand, meticulously sanded and smoothed, and then finished with a glossy finish that will keep your bowl beautiful and handy for a lifetime. Each bowl features a curled yarn slot to keep your yarn secure and untangled as you knit. 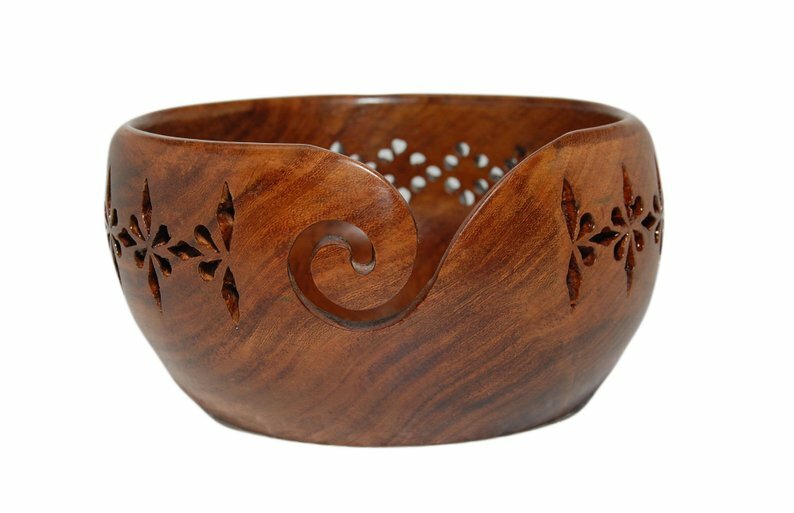 QUALITY – This is made from the strongest and finest Rosewood (Sheesham) wood. The high quality finishing on the wood will ensure your yarn glides through the hole with ease! Create the most beautiful crochet and knitting patterns! This special bowl can be passed down from generation to generation.